NBC announces a six-month unpaid suspension for Brian Williams, who for the last 10 years had anchored TV’s top-ranked network evening newscast. Jon Stewart, in his 17th year as host of Comedy Central’s Emmy-showered The Daily Show, announces that he’ll be exiting sometime later this year. Tuesday otherwise turned out to be a slow news/fake news night. Numerous tweets later, I’m still trying to digest it all. Let’s start with Williams. No network news anchor has ever been put in a penalty box of this duration. Just a week ago, Williams had been riding high at the helm of his network’s only No.1-rated news property after the falls of Today and Meet the Press. But then came his latest “mis-remembering” of a 2003 Iraq war experience in which he claimed to be aboard a U.S. Chinook helicopter that came under fire and had to make an emergency landing. Williams weakly apologized for “conflating” the events on last Wednesday’s NBC Nightly News, saying he in fact had been aboard a second helicopter that had not taken fire. But evidence quickly mounted that he had told this tall tale before, not only on own his news program but recently during an appearance on CBS’ Late Show with David Letterman. After Williams’ self-suspension Saturday, in which he promised to return shortly, the NBC hierarchy shot him down and seemed to leave him for dead with Tuesday night’s stunning announcement. Rooting for what? His full recovery? Cleveland Browns quarterback Johnny “Football” Manziel recently checked into a rehab center to deal with his drinking problem. But there are no Walter Cronkite or David Brinkley remedial facilities for wayward fallen anchors. One wonders what Williams is supposed to do to be trustworthy again. Go on a national apology tour? Kneel at the feet of Tom Brokaw during a Times Square “event?” Be healed by Joel Osteen? The reality is he’s almost certainly finished at NBC News. A month-long suspension is one thing. But half a year of wandering in the TV news wilderness is not likely to have curative powers. Williams could always return in a robe and with a beard. But seriously, it’s hard to see a scenario where he resumes anchoring the Nightly News as a changed man who nonetheless would be hard-pressed to report from the field or on the presidential election with any real credibility. 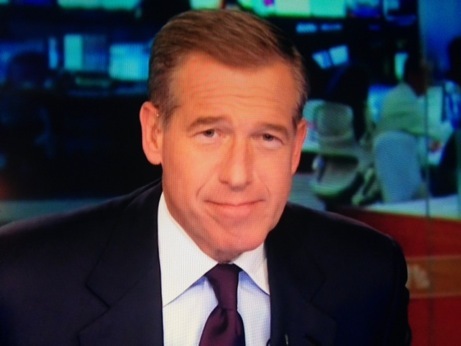 During all of this, reports have surfaced that Williams at one time lobbied to be Jay Leno’s successor on NBC’s Tonight Show. He’s always had a talent for comedy, proving to be a dry ad libber during numerous late night talk show appearances while also acquitting himself pretty well as a one-time host on Saturday Night Live. Stewart’s decision to leave The Daily Show, where he’ll remain until at least mid-summer, leaves that particular door open if Comedy Central wants to take a big chance. Or perhaps another network will give Williams his own talk show. Stranger things have happened, including his six-month suspension. For now at least, Holt will be the principal face of NBC News. But he’s almost assuredly not a long-term answer. Holt is 55, the same age as Williams. In fact he’s almost two months older. At best he’s a capable journeyman who has worked the weekend Today and Nightly News shifts while also anchoring NBC’s fading, tabloid crime show, Dateline. Holt is “respected” within NBC News circles. But he’s not exactly a paragon of solid, above-board journalism. In other words, the lines have become impossibly blurred between news and entertainment, unless you’re CBS Evening News anchor Scott Pelley (still a holdout) or an anchor for PBS’ NewsHour. Even Stewart scoffed at the time. And Ted Koppel, then still anchoring ABC’s Nightline, was downright upset. In “truthiness,” though, many viewers (usually younger rather than older) in fact get their daily dose of news from Stewart’s ridiculing and parodying of same. He’s been doing this since Jan. 11, 1999 after succeeding Craig Kilborn as host/anchor of The Daily Show. 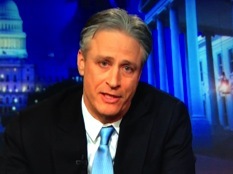 But as he told viewers Tuesday night, Stewart has gotten at least a bit weary of it all in his 17th year of duty. This may have coalesced for him when he took a 12-week hiatus in 2013 to direct the film Rosewater, which was released last fall to generally favorable reviews. A logical successor might be Joel McHale, the acerbic host of E!’s Talk Soup and star of NBC’s Community, which is moving -- as a streaming series -- to Yahoo! Screen in March. It’s also possible that Comedy Central might move Larry Wilmore to The Daily Show slot after his already impressive brief stint as host of the following The Nightly Show. Whatever happens, Stewart will be going out as an exalted hero of late night television while Williams tries to do penance for his sins. The back-to-back news of their departures made Tuesday a night unlike any other on the TV landscape. These were earthquakes, not mere tremors. And a lot of people remain very shaken.